This appealing and appetizing recipe has lots of protein in it with four eggs. Each egg contains about 21 grams of protein if it is a medium egg. The whole milk provides another 8 grams and the marmalade has no protein in it. Thou it does have 13 grams of carbohydrates, and that is about 5% of your daily need based on a 2000 calorie diet. The right protein, such as eggs have will make us fell full and we will not eat other fatty sugary foods later. Use whole fat sour cream. The low fat or non-fat is too runny. And you don’t want your crepes running away before you can eat them. As the whole fat sour cream is thick you can use a little milk or cream to help thin it out some. 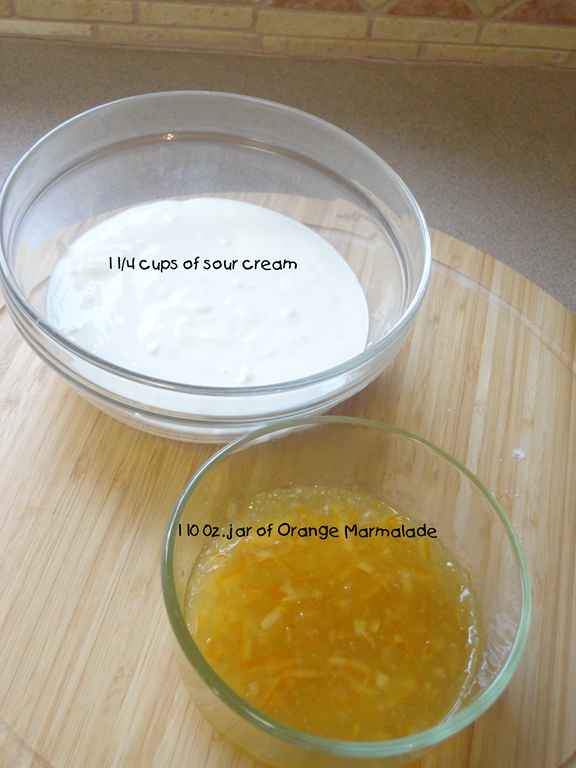 For the marmalade depending on how many people you will be making crepes for, 1 10 oz. jar may not be enough. So use 2 – 10 oz. jars. To warm the jam, empty the jar of jam into a small pot and warm it, making sure not to scorch the pot or burn the jam. Another option is to heat some water to boiling point in a small sauce pan and place the jar of jam into the hot water. Remove the lid before putting the jar into the water. Turn off burner. While you are preparing the crepes, the jam will be warming to liquid form. As stated in an image above you can replace butter with coconut oil. 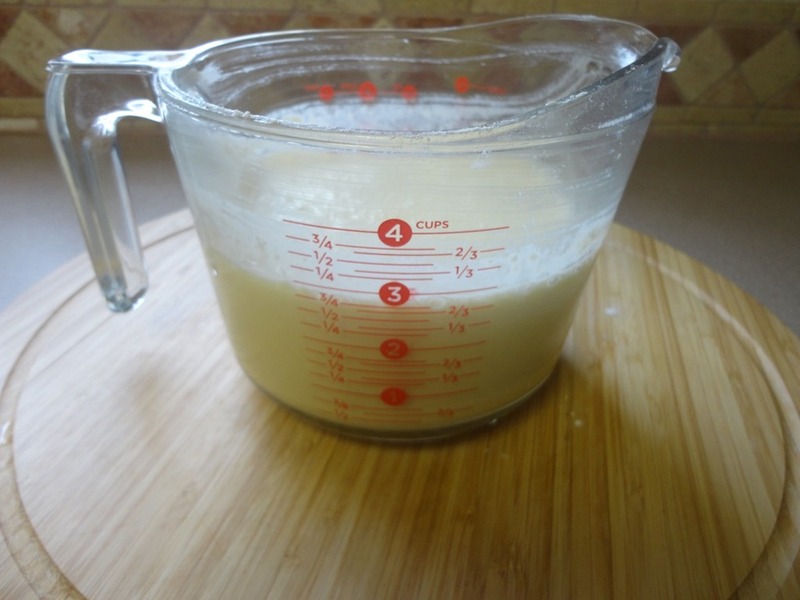 Place the two tablespoons for about thirty seconds in a microwave to liquefy the oil. As it is a hard substance. Beat the four eggs and then pour in the coconut oil and mix in well. 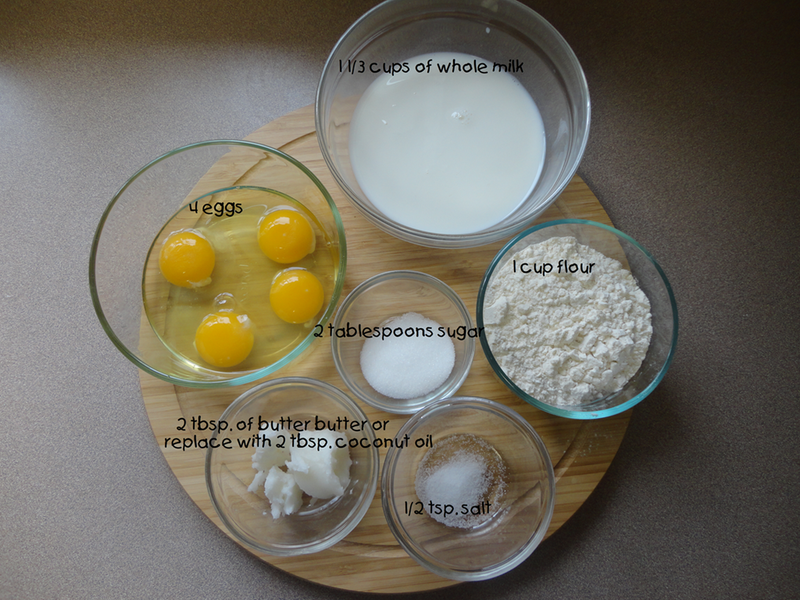 Next in a large bowl mix together the flour, sugar, salt, milk and eggs and whisk well. You should have about 3 cups of crepe batter. Next lightly grease with some olive oil a medium size frying pan (crepe pan if you happen to have one) on medium-high heat. Pour 6 tbsp. of batter onto pan and grab the pan by the handle and swirl the pan until the batter is spread out thin. If you get the batter spread out thin enough, it will cook through. No need to turn crepe like you do with pancakes. Allow to cook 1 to 2 minutes or until golden brown. Notice how the outer edges of the crepe are cooked and center still needs a few seconds to be cooked all the way through. Once done crepe will slide right out onto a plate. 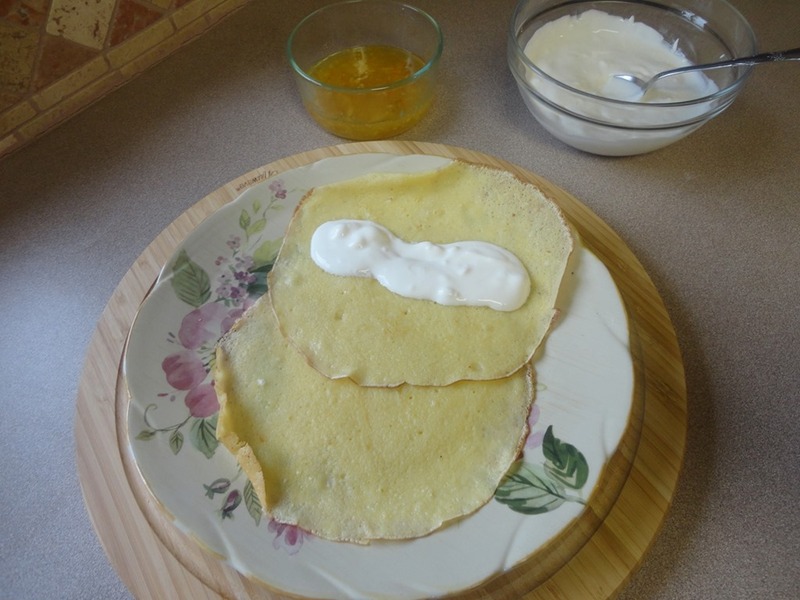 Spoon out sour cream over center of crepe, about 2 to 3 tablespoons. After spooning on sour cream roll crepes. Place two side by side. Pour some warm orange marmalade over top. 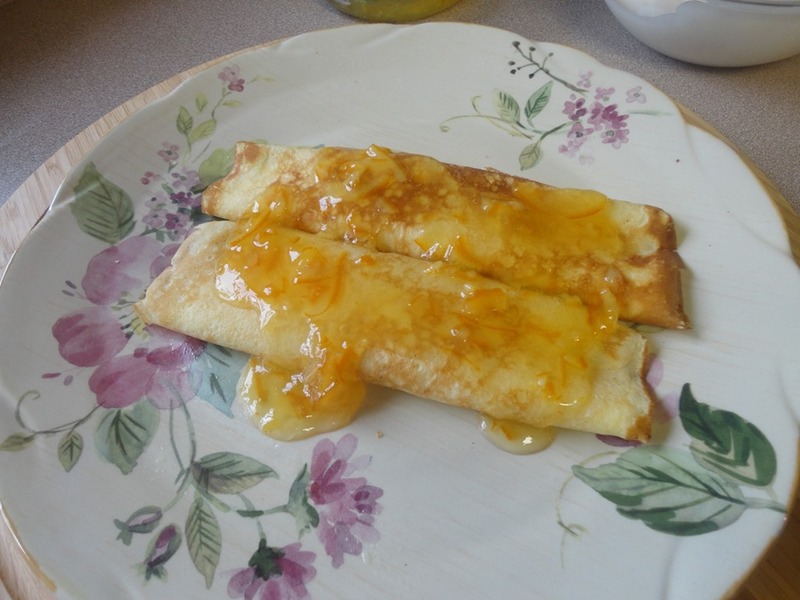 These type of crepes stuffed with sour cream are known as “Continental Crepes”. If you wish you can enjoy some fried bacon and a cup of coffee with this dish. 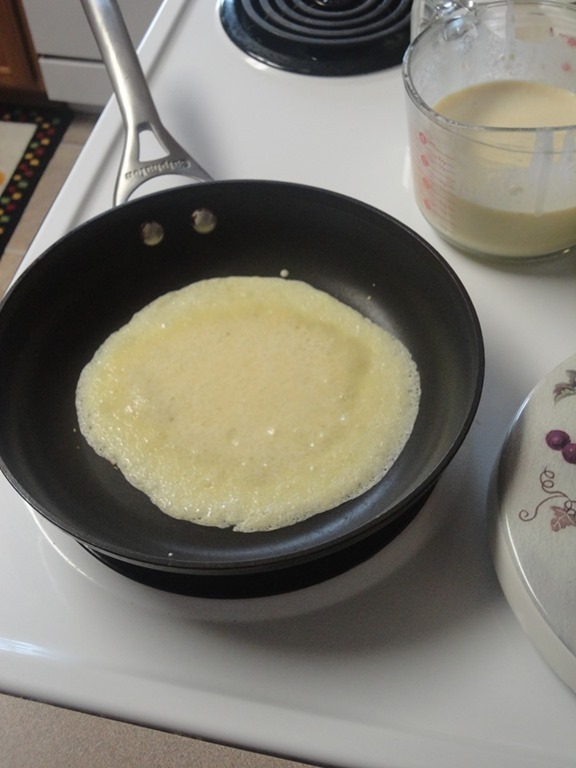 Two are very filling but your 3 cups of batter should make about 10 crepes which is 5 servings. 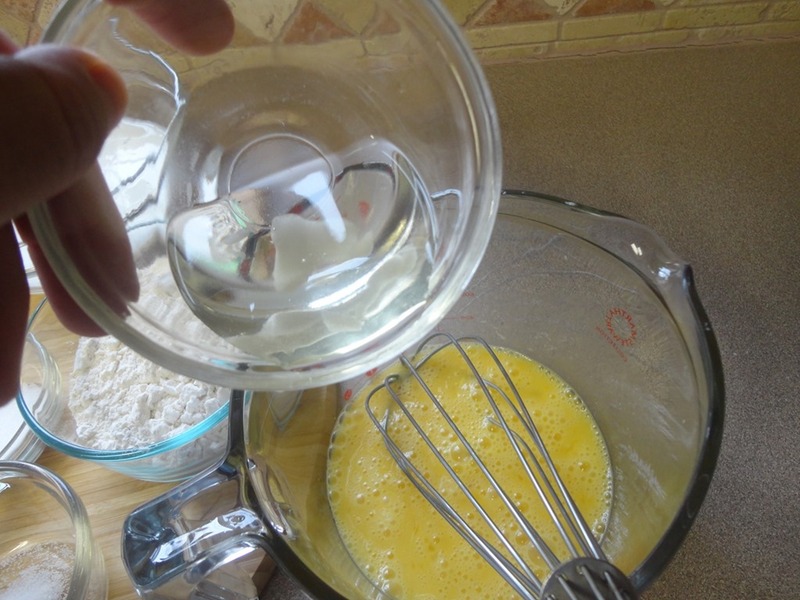 In a large bowl, whisk together eggs, milk, melted butter (coconut oil), flour, sugar and salt until smooth. Heat a skillet or crepe pan over medium-high heat. Grease pan with a small amount of olive oil. Apply with a brush or paper towel. Spoon 6 tablespoons of batter onto hot pan. Grab pan by the handle and tilt pan in a circular motion to let batter spread out. The crepe must be thin on pan. Cook 1 to 2 minutes on one side only or until golden brown. This entry was posted in Breakfast, Dessert and tagged Coconut oil, Cook, Cookware and bakeware, Crêpe, dessert, Diet food, Eggs, Food, Frying pan, Gram, Home, Milk, Monday, Protein, Sauces Dips Gravies and Toppings, Sour cream. Bookmark the permalink. They look good! I have a crepe evening coming up this weekend. I will defenitely copy that! Hope you enjoy them as well as your crepe evening!! Crepes are delicious any time of the day.